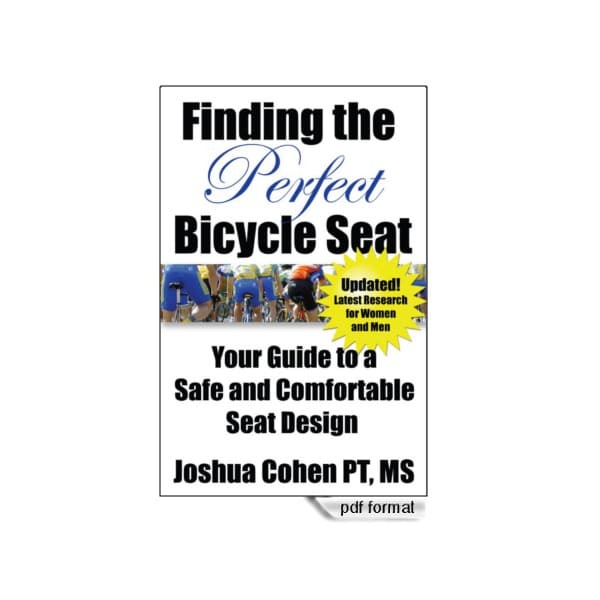 The author, Joshua Cohen PT, MS, is a physical therapist and lifelong road cyclist. He holds a master’s degree in human movement with a specialty in biomechanics and orthopedics with a supporting area in product design. He has researched ergonomic bicycle saddle design extensively and has designed and patented bicycle saddles as well as providing expert consulting services on the topic. This is a digital eBook. You will be able to download the .pdf file after purchase. “I have been cycling for six months and having problems. Your in-depth information is well worth the money!” – Richard A. “I found Finding the Perfect Bicycle Seat very helpful and to the point. 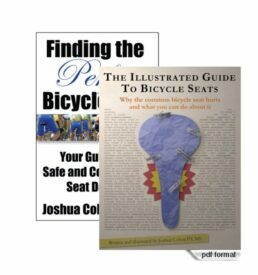 After starting to read it I couldn’t put it down.” – Stephen F.
“My wife just read a couple of chapters and was impressed with how understandable you made such a complicated subject.” – Carl S.
“This is just what the bicycle community needs. 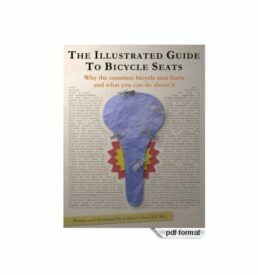 Finding the Perfect Bicycle Seat is very informative . . . I really like the way it shows the rider spine and pelvis. Superb! Just the photos helped a lot.” – Gary A.